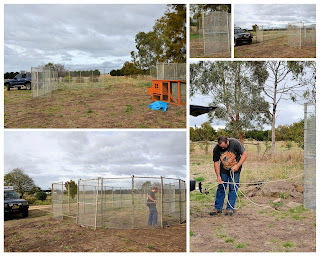 The girls have been in their Fox-proof Fowl Fort (FpFF) for just three weeks. 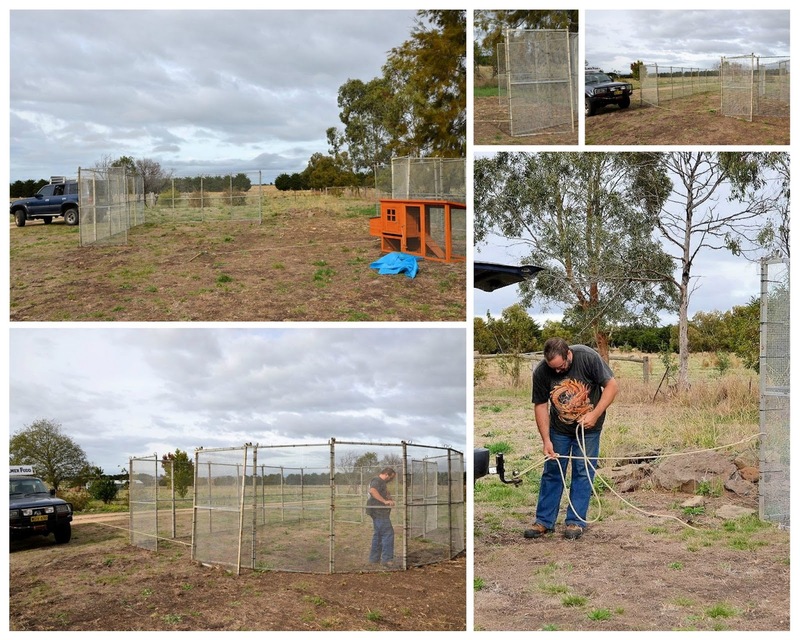 In that time they've well and truly scratched over the ground within the enclosure and we deemed it time to move them along a little bit. Nick rigged a rope between a corner of the Fort and Elmer's tow-ball. All looked to be moving along well, though the stress on some of the joining cable ties caused a few breakages at one point - so a change of plan was needed. The Fort was therefore moved in two parts and then re-joined once in it's new position. While we were re-locating their quarters the girls enjoyed some time free-ranging about the yard, under Vaughan's supervision. They stayed reasonably close to him (no doubt hoping for more crickets), so it was a fairly easy exercise to put them back into the Fort when it was ready!